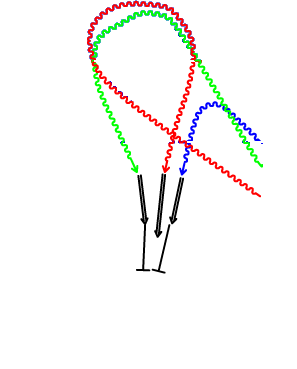 Player 1 skates around near dot and shoots from the top of the circles. Player 2 skates around the TOP of the center circle and shoots from the top of the circles. 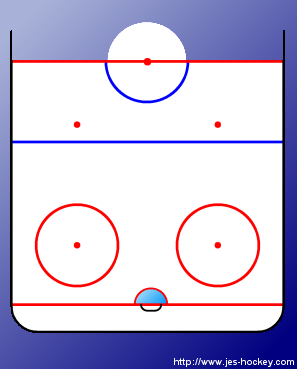 Player 3 skates around the BOTTOM of the center circle and shoots from the top of the circles. Players 1 and 2 remain to screen the goalie and tip the subsequent shots. This drill can be run from both sides to both goals. Stress head's up, there will be a lot of traffic at the center circle.